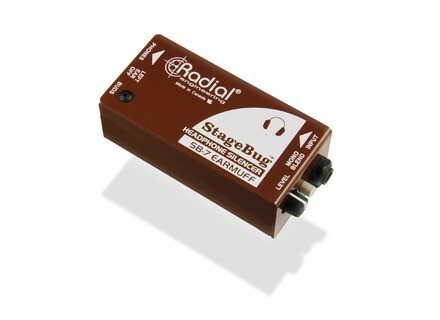 StageBug SB-7, Accessory for headphone from Radial Engineering. 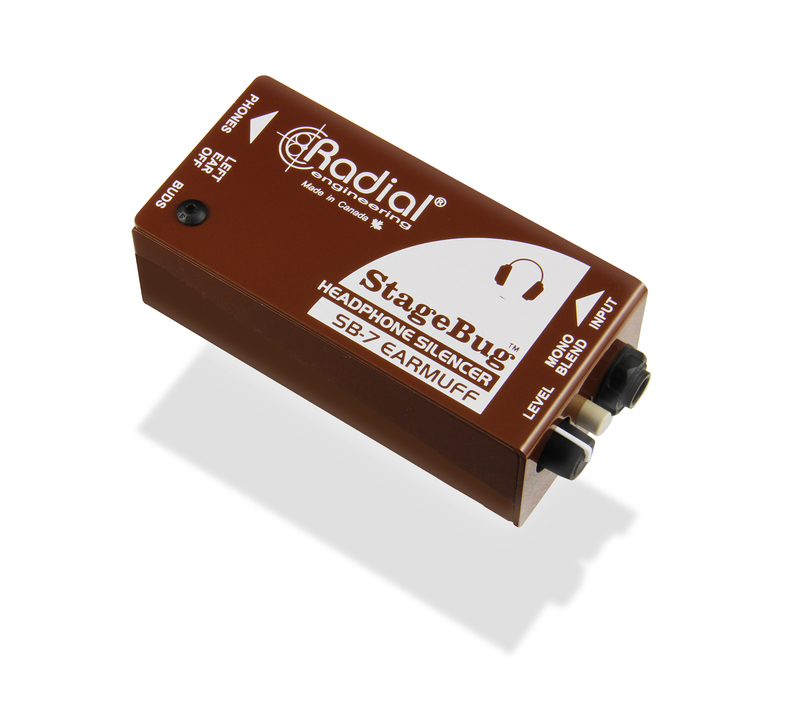 Radial Engineering is now shipping the StageBug SB-7 EarMuff, a headphone interface that can silence one channel. "The SB-7 EarMuff begins with a standard ¼" TRS headphone input. A second TRS headphone output on the other side is used to feed the headphones. This is supplemented with a mini 3.5mm TRS jack for those who prefer to use ear buds. As the playback tracks from the recorder are likely in stereo, a MONO SUM switch lets the user blend the left-right signal to mono to ensure all instruments will be heard. A local level control allows the artist to further adjust the volume to suit. A simple LEFT EAR OFF switch is used to mute one side of the headphones. Best of all, the SB-7 EarMuff is completely passive which means it does not require any powering to make it work. You simply plug in and start listening." The SB-7 retails for $99 USD. 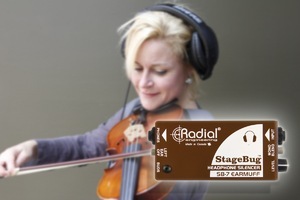 For more info, go to www.radialeng.com. Focal Spirit Professional Review A little over a year ago French brand Focal, well-known for its range of speakers, introduced its first pair of headphones: Spirit One. Fairly nice, portable, but not really apt for use in a home studio. Fortunately, they now come back with a model proudly sporting the "Professional" tag that promises to deliver a neutral sound for mixing. So, how do they actually perform? [NAMM] M-Audio MH50 headphones M-Audio adds to its monitoring range the new HDH50 headphones, which is introduced this weekend at NAMM 2014. [NAMM] Blue Microphones Mo-Fi headphones Blue Microphones will unveil in a few hours at NAMM 2014 their first headphones for mobile, called Mo-Fi.